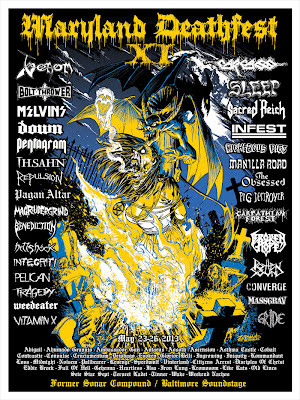 MDF 11 is just around the corner and they're cranking up the hype with the release of their official poster! This poster was designed by artist ZORNOW and will be released by Warlord Clothing. It's a limited edition silkscreened 18x24 3 color poster that they're only making 200 of so order quickly as there will be no guarantees that any will be left at the fest. The poster is only $12 and will not be shipped, you will have to pick up your order at the actual festival. 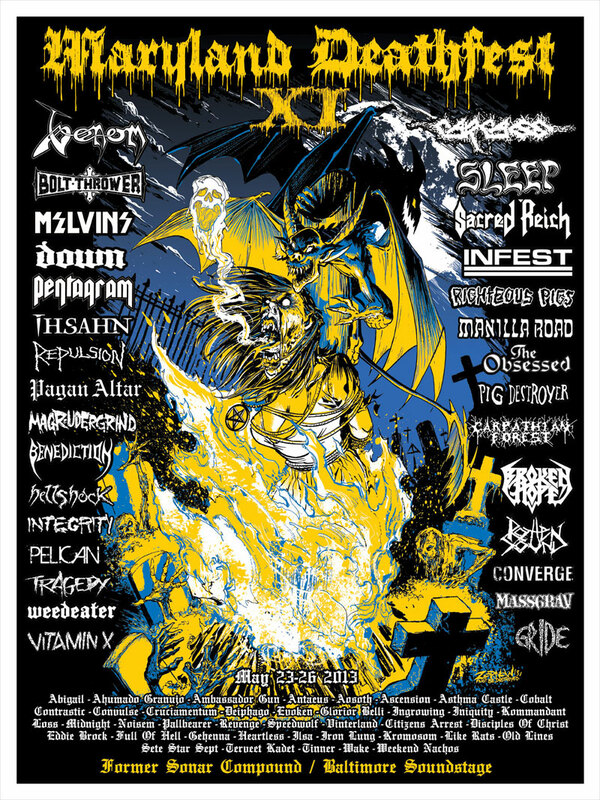 Every band that will be playing the fest is listed on the poster including the legendary Venom, Bolt Thrower, Melvins, Sleep Carcass, Pentagram, Weedeater, Pig Destroyer, Down and more including Chicago's own Weekend Nachos! MDF XI will be held May 23-26, 2013 at the former Sonar Compound in Baltimore. damn another solid lineup...and another year of me not able to go.